This post is a bit out of sequence. 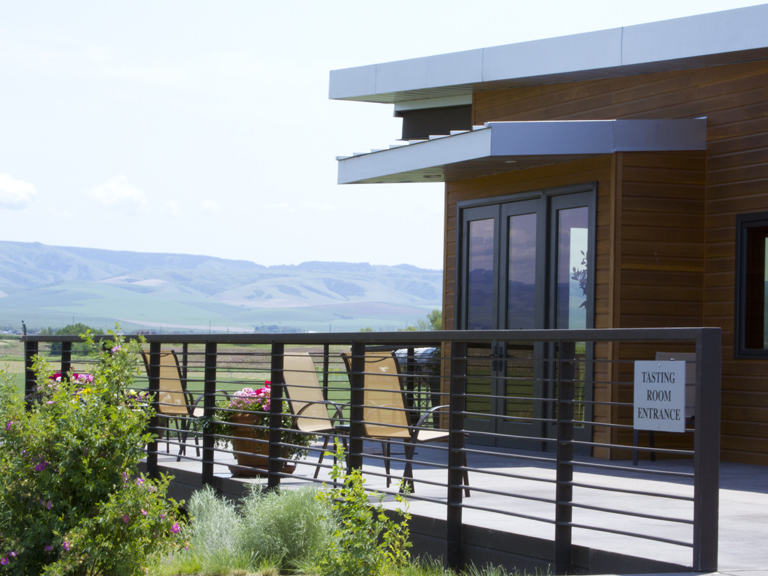 We’d actually never planned to blog about the trip but Walla Walla was a special request and it’s in keeping with our theme – culinary expeditions. You’ll have to excuse the lack of appropriate and useful photojournalism that resulted from our lack of planning. We’d actually visited Walla Walla in 2009 and it held a special pre-engagement place in our hearts. We thought it would be fun to visit once again since things had settled down ever-so-slightly. It’s also a fun change of pace from the Pinot scene of the Willamette Valley (although we do love our Pinots!). There are many special events in this town known for its university, sweet onions and its burgeoning wine community, so check the calendar of events before you go. 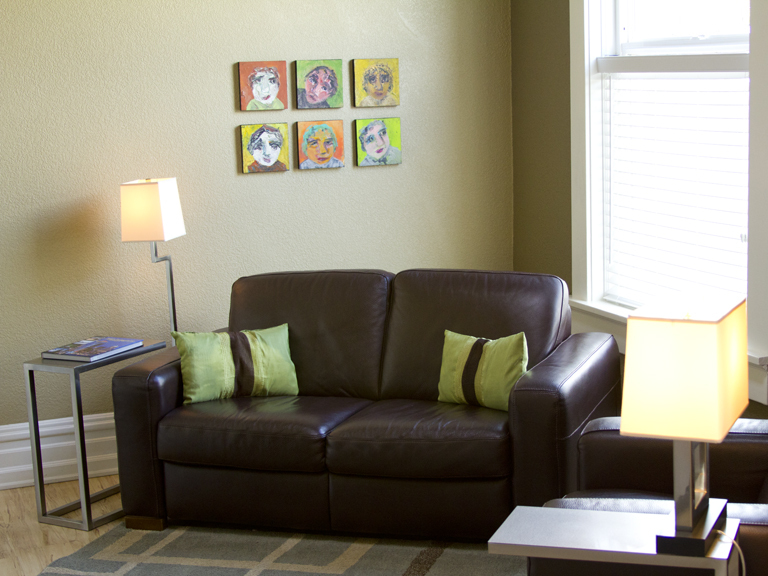 Your choice of dates can greatly impact hotel rates and dining options since this is a small town. We went to this place on our first trip and we decided it had to remain in the mix. We noshed on a lamb flatbread appetizer (Gozleme) that was perfectly seasoned and cooked. Don’t let them mislead you – it’s large and could be a meal in and of itself. We both then ate homemade pastas for dinner. The quality of the pasta in both dishes was really good, but the flavor of the accompanying ingredients was a little bland in my dish (the stinging nettle pappardelle with lamb ragu). On the other hand, Mike’s Agnolotti (pork ragu with morel mushrooms and organic kale) was quite flavorful. 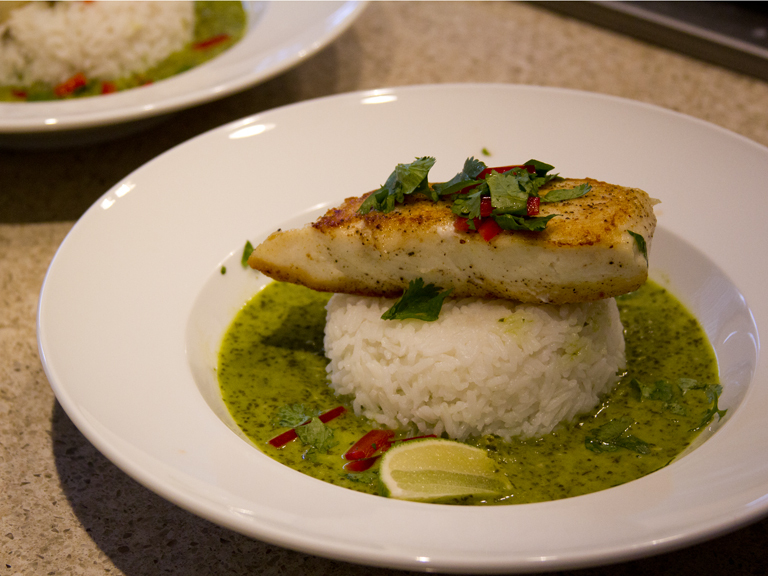 The Green Curry Halibut was Mike’s inspiration for the last blog post. His dish was quite tasty but I think there are some negative details about the restaurant I should disclose. My crab cannelloni was lackluster, more soupy and soggy than flavorful. The main reason I don’t want to recommend it is because I don’t want this to be your memory of the Walla Walla restaurant scenee. Both ambience and location are less than desirable for the price point. I walk almost everywhere in Portland and I had to concede that we couldn’t walk there. If you’d like to picnic at a vineyard, Graze’s sandwiches might be the answer for you. They are sizable, simple and fresh. They have a limited selection of cold sandwiches (which is probably what you want), but we can at least recommend the turkey/avocado. Side salad is an option. The only reasons I’m listing Sapolil are for its fun live music and downtown location. I’m listing it as a restaurant because it’s downtown and offers bar food. Word of warning à their wines were pretty poor. We ate breakfast here on both trips. It has inexpensive, large breakfasts but nothing inspirational. The interior is outdated and probably didn’t win any awards 40 years ago when it was last decorated. This is where we stayed on both visits. We like the boutique nature of the inn. If you’re able to ignore the dusty pink corridor walls, you can enjoy the fairly contemporary units. They are more than just rooms. Some of them are essentially one bedroom apartments, complete with kitchen and washer/dryer. Other rooms (like the one we stayed in previously) are more compact but still have a large bathroom, mini fridge, etc. 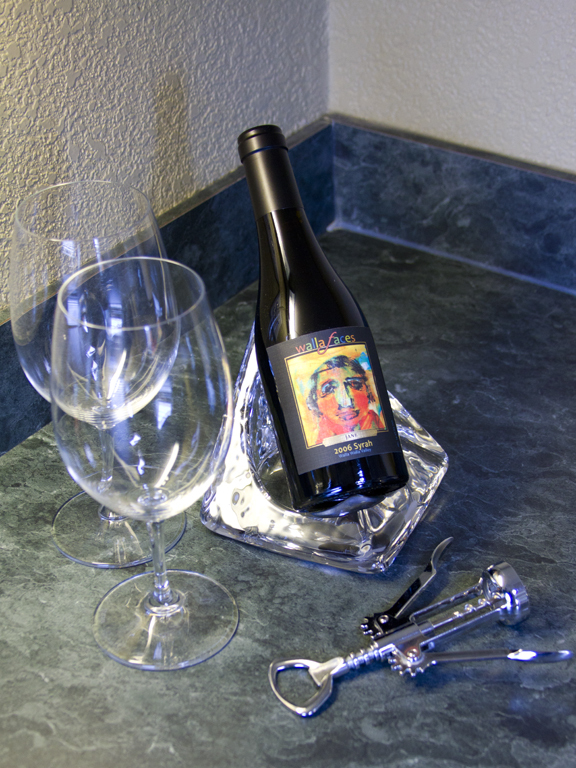 They even supply you with a complimentary ½ bottle of their award-winning signature Walla Walla Faces Syrah. I figured it was too gimmicky to be good, but I was wrong. The inn still has a special place in my heart but I did end up visiting the chiropractor after awakening to find my neck on a 45 degree downhill slope. The bed and pillows (at least in this unit) were way too soft. It didn’t seem to phase Mike but I’m pretty sure he could sleep soundly on an active volcano. That said, it’s downtown and easy walking to restaurants and shops. Since I married into the Marcus name, I thought we should consider this hotel. It looked quite nice and you can occasionally get decent rates. Unfortunately, it was completely booked on one of the nights we were planning to visit and the rates were too high on an alternative weekend. It’s the tallest building in town. It’s also conveniently located in downtown o downtown Walla Walla. The Best Western seemed like the best combination of value, location, and price. Unfortunately they were also booked the weekends we considered. Now for the good stuff. I’m going to offer notes about vineyards from this visit and our previous visit. Please keep in mind that changes seem to brew in Walla Walla and an old review could lead you astray. The vineyards are listed with our favorites roughly towards the top. I’m also including some we didn’t love so we can spare you the visit. Wine tasting strategy (perhaps a questionable one): The fees are only $5 at most places in Walla Walla (seems cheap after the price inflation in the Willamette Valley). If you buy a bottle, most places will waive your tasting fee. We ended up with quite a few bottles. 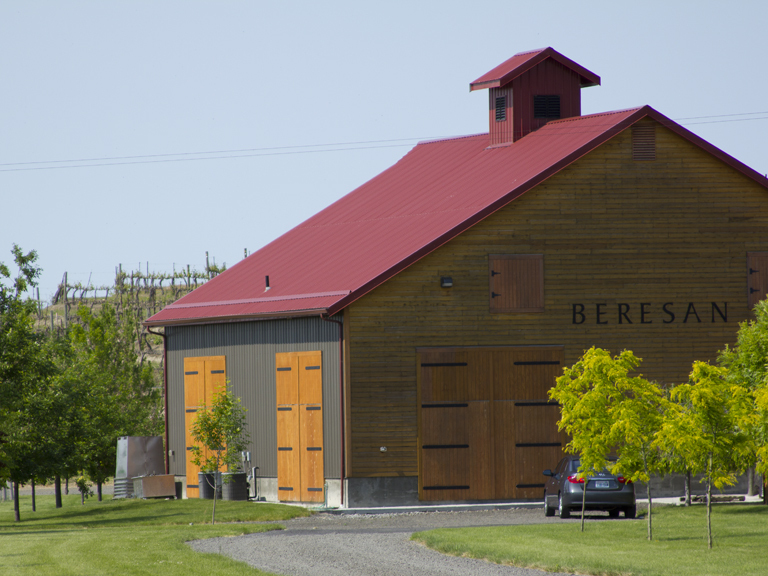 East Walla Walla and Airport Wineries: Some quality wineries are located here but the airport scene is basically a trailer park. I would visit only for the best quality wines. South: This is my favorite area as far as the scenery goes. Downtown: Good for some late afternoon, early evening lazy tastings. Waters: This was our second visit to what is probably our favorite vineyard due to the quality of the wines, the friendliness of the staff, and the location. We picnicked here as they were setting up for an annual wine cookout. Must try the Interlude and Capella blends! Advice: Walk in wearing matching themed glittery shirts and tell them how you hate all blends, how you will only drink Shiraz from Australia, and then confirm to them that their wine isn’t very good (as you’d suspected). Gramercy Cellars: We love their wine, their labels, and their vibe. We tasted back in 2009 when they offered a guest vineyard tasting at Waters. It was excellent so we decided to track them down. They moved into the old Amavi tasting room right outside of town. It’s not situated at a vineyard with panoramic views, but the atmosphere makes up for it. You walk into the man cave and immediately feel relaxed. You can sit at the bar with the friendly, tats-laden server or sink into the deep brown leather couches, or enjoy a game of darts. By merely finding the place, you will feel like a member of an exclusive club. They don’t even have a sign out front announcing their presence. You are in the club. Buty: The airport thing sounds cool, but it’s really just a series of trailer type places that serve as tasting rooms. Pretty limited in terms of ambience and basically no scenery. HOWEVER, if you’re going to hit the airport wine tasting rooms, this is the place to go. Their wines are quite good. Sleight of Hand: Listing this because it has pretty good wines and is in a scenic area. You’ll want to split at this place because they give you about a million tastes. The labels contain funky, dark, magician-inspired themes that are carried over to the tasting room décor. Walla Faces: This tasting room is next to our downtown boutique inn and is owned by the same people who own the inn. They gave us a half bottle of their wine as a welcome gift. Instead of drinking it, we went next door and tried a glass of their wines (they don’t have a tasting flight). I loved their award-winning Syrah, but didn’t love Mike’s Cabernet as much. We enjoyed their lounge chairs and live music. We even chatted for a while with the artist behind the wine labels – Candice Johnson. From Candice, I learned that Walla Walla is not a good place to be single (unless you’re in college), she previously lived in Paris, and she hasn’t yet tired of painting tons of psychedelic faces. Basel Cellars: This is a beautiful setting for a picnic. We didn’t visit this time, but I think it’s worth mentioning. Their wines are not as pricey as some (and also not as good), but the setting was really cool. The tasting room was elevated above the vineyard, somewhat like a fortress. The facility is large with manicured grounds. It was definitely groomed for weddings. Beresan: Across from Sleight of Hand, we didn’t visit this time, but I did enjoy it last time. I liked their Carmenere/Cab blend as a novelty, but I wish I’d purchased the Cab instead of the Carmenere. The Carmenere didn’t stand alone. Rulo: Reasonably priced, enjoyable wines. Woodward Canyon: As our second vineyard ever visited in Walla Walla, this redeemed Walla Walla in our eyes (after the first stop). They had several tasty wines, especially their high-end “artist series” Cabernet Sauvignon wine. They buy an oil painting every year and then reproduce it for their artist series label. We drove in from the Westside of town. Amavi: I loved their wines last time. This time they upgraded to a cool facility on site at their vineyard but their wines didn’t seem as good. Waterbook: Large, somewhat cool facility. Fairly institutional feel though. Decent whites. Russell Creek: NOT a scenic location, inside or out. This is one of the airport tasting rooms. I liked their Syrahs but Mike wasn’t a fan. They’re a bit on the heavy side. Va Piano: Looks BEAUTIFUL in their pics but I didn’t love their wines. And I really didn’t think the setting was as great in real life as in the marketing literature. L’Ecole: If the Wine Spectator awarded “cute points” for the vineyard house/tasting room, this would rate highly. Otherwise, thumbs down. This was our very first stop in 2009 and I poured out most of it. Tertulia: Had to mention because we really didn’t like this place. Friendly but their wines were not good. The only good thing was that they were cheap. Somehow they’d managed to score high marks with wine spectator for their Cabernet Sauvignon, but we both agreed it wasn’t great. 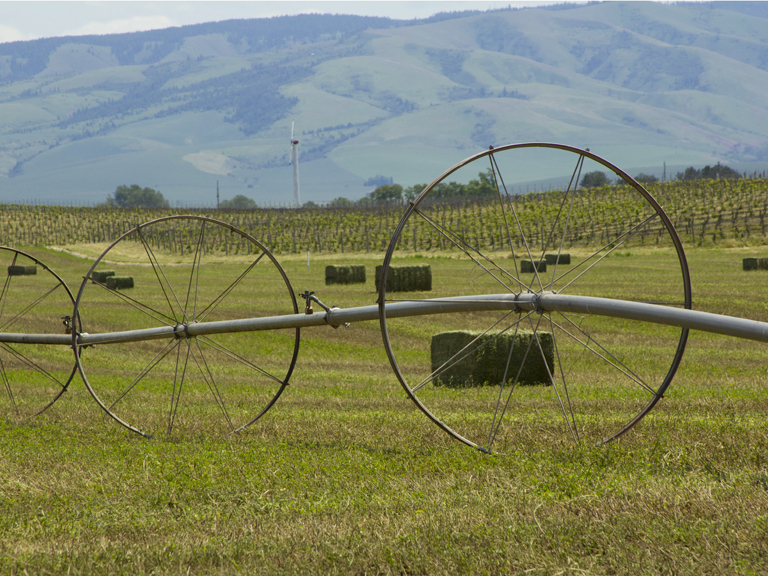 Margie and I recently spent a weekend away in the wine country of Walla Walla, Washington. 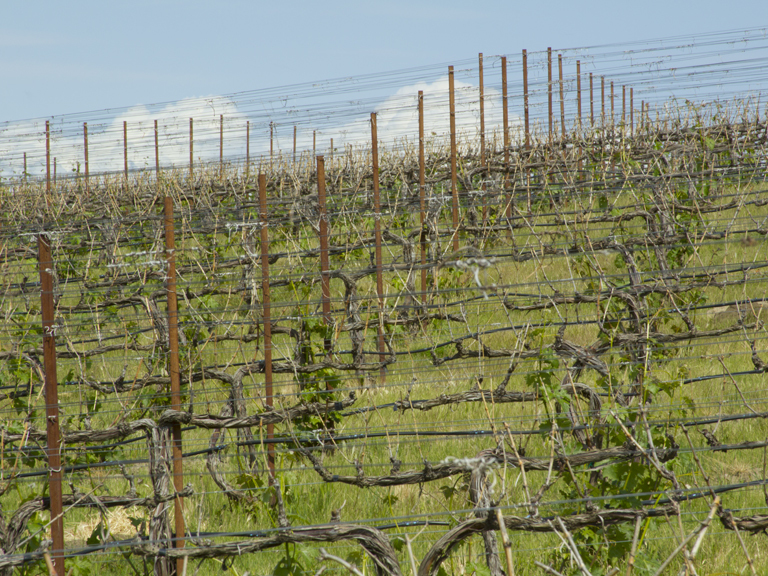 Walla Walla is about 4.5 hours NE of Portland and home to some great hearty red wine production. We had previously travelled there two years ago and had a fabulous time and had been itching to get back. The last trip went just perfectly for us with the perfect quaint, modern hotel, right on main street downtown, the perfect restaurants and great wineries. We were looking to duplicate that again and weren’t disappointed. Despite the atmosphere, the food really surprised me. I had ordered a Halibut w/Green Curry as my main course mostly because I was feeling like fish and I love a good halibut. (I guess you could say I just got it for the hal-i-but….hahah) It really hit the spot and knocked my socks off. It had a great fresh taste with just the right amount of heat to it. I also loved the zesty cilantro, red pepper, lime juice topping on it. It all really came together as a dish. When I got home from the weekend, I was still craving the halibut dish. I HAD TO HAVE IT AGAIN. I set out to recreate the dish at home. It was my mission and I was not to fail. The recipe below is what I made and both Margie and I agree, it is pretty darn close to what we tasted at the restaurant. This is going to be a regular staple in our house for years to come. It’s not too difficult to make and the curry paste can be made in a larger batch and frozen for a week or two. If the photo of the dish doesn’t entice you to make it, I don’t know what will. Process well to form Thai green curry sauce. Taste the sauce for salt and spice. If too salty for your taste, add a squeeze of lime or lemon juice. If not salty enough, add more fish sauce or salt. Add more chili for more heat. Assemble curry paste and topping according to directions above. Cook rice in rice cooker until it is cooked through and still sticky. Heat curry paste and remaining coconut milk over medium heat in sauce pan. Add more Coconut milk if needed to get a medium consistency curry sauce. Heat cooking oil for fish in a large sauté pan. Sauté halibut fillets in oil until browned on both sides and just barely opaque all the way through. Using a small bowl (Pyrex dishes work well), spoon cooked rice into prep bowl. This will then be used to create a nice mound of rice in the serving bowl on which the curry and fish will be placed. Flip the molding bowl onto the large serving bowl and remove. You should have a nice, neat mound of rice in the center. Spoon desired amount of curry around the rice mound. Top with halibut. Sprinkle red pepper/cilantro topping on top of halibut.